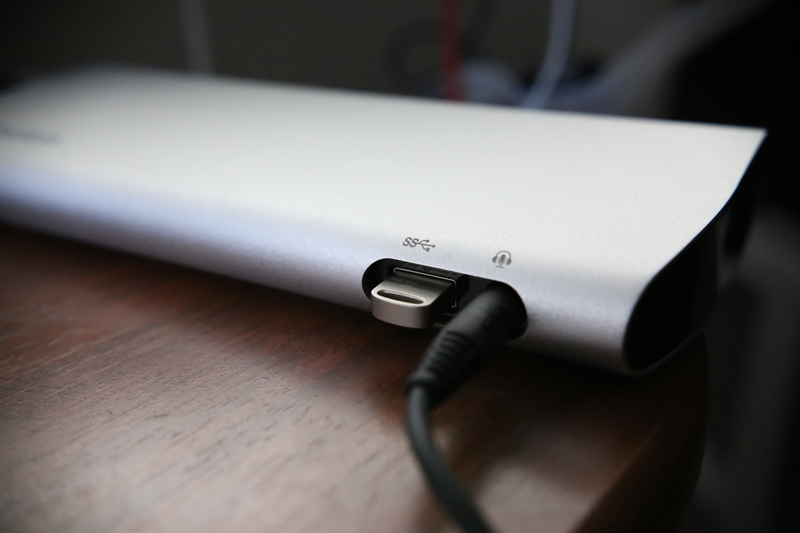 Belkin has updated one of the few accessories designed for Thunderbolt that’s useful for the average consumer, their Thunderbolt Express Dock, and in so doing, they’ve made it even more useful, as well as introducing compatibility with the more powerful Thunderbolt 2 specification. Whether or not you consider it “more” useful might be a matter of taste; The second-generation Thunderbolt dock from Belkin drops Firewire 800, as well as a dedicated mic line-in on the back, but adds an HDMI port for more display connectivity options, and supports up to two monitors, including one via the daisy-chaining Thunderbolt connection. The new dock comes with three USB 3.0 ports, just like its predecessor, as well as a Gigabit Ethernet port, but it moves one of the USB connections to the front for easier access depending on your setup, and puts a second 3.5mm audio out connection at the front, so you can use the one in back for connection to speakers or a stereo, and the one in front for plugging in headphones. Belkin’s design for this device uses the iMac-matching brushed aluminum finish of the original once again, but feels more solidly designed than its predecessor. The overall package is a lot smaller than the first-generation model, taking up far less space on the desk. It still requires an external power source, but that allows it to charge up your USB devices even if it’s unplugged from your computer, and ensures high throughput speed. The new dock is still $299, which is the price at which the original debuted. That’s a lot of money for a USB hub, but the value of the additional display options this opens up is going to be huge for some users. The Ethernet and audio expansions, as well as the additional USB 3.0 connections, also make this a great tool for users of MacBooks, and particularly those that date from after the launch of Thunderbolt, but before the debut of USB 3.0 in Mac hardware. 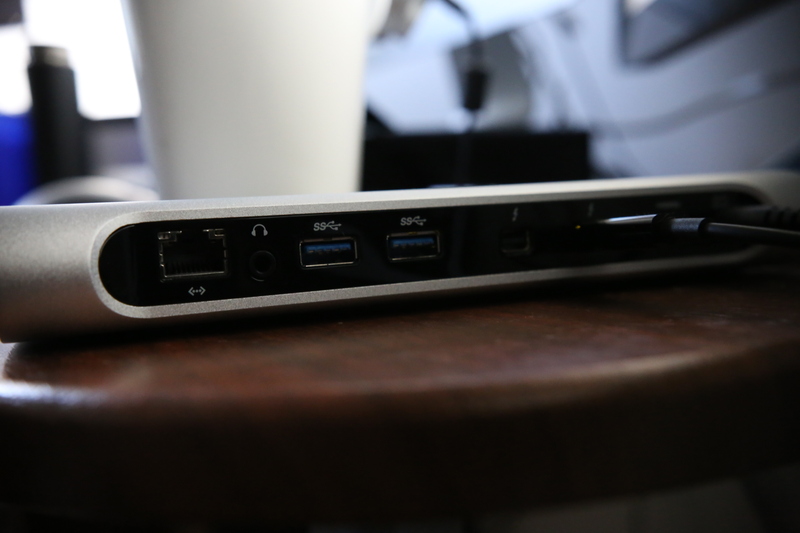 The price means this isn’t an instant buy for everyone, but what the Belkin Thunderbolt 2 Express HD Dock does offer (besides a ridiculously long and complicated name) is going to be well worth the price of admission for mobile office workers, video pros and others who need more connections than Apple provides on its hardware out of the box.